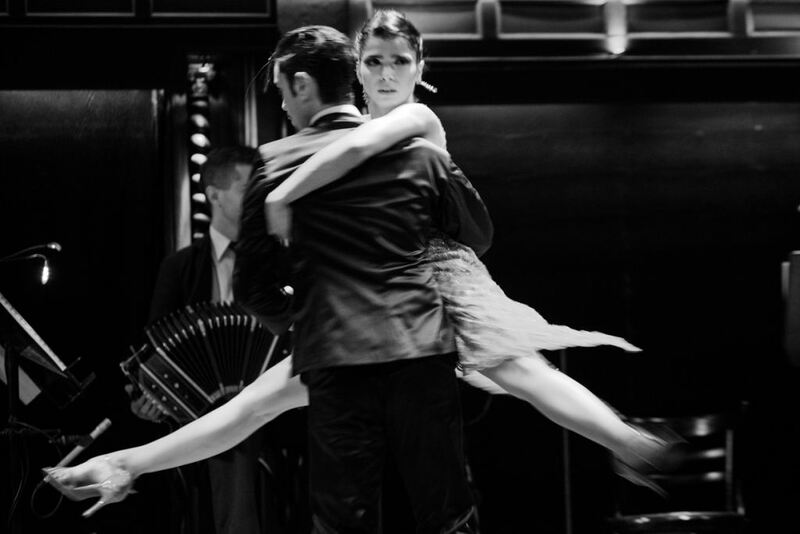 In the heart of Buenos Aires City’s historic quarter, in the San Telmo neighborhood there is a place where it is possible to enjoy the best tango show in Buenos Aires: a unique, unrivalled, carefully set space that managed to recover with absolute fidelity the magical atmosphere of the beginning of the last century. In this mythical place, a fantastic combination of traditional gastronomic proposals and the most impressive spectacle of music and dance typical of our beautiful city is combined. El Querandí is an old mansion from the late 19th century, which functioned as a Bar and Restaurant from 1920 to 1980, which recovered its essence in 1992 after more than 10 years abandoned and about to be demolished. Its history runs parallel to the history of Tango: it was born together with him, at the end of the 19th century, it was consolidated at the beginning of the 20th century, it had its time of splendour between 30 and 55, its decadence in the 80s and its rebirth with the soul restored in the 90s. Our dinner show gathers and presents the typical gastronomy of our country with an exquisite show of quality level, able to offer its guests the possibility of experiencing the Buenos Aires night in a room specially set and intimate, which will transport it to Buenos Aires in the early twentieth century. Our tango show in Capital Federal is without a doubt an excellent opportunity to savour the most exquisite typical dishes, and also to delight yourself with a magnificent tango show performed by professional dancers, singers and musicians of the highest international level. Located in the historic quarter of the city, and a credited heir to the old customs of Buenos Aires, El Querandí preserves the emotional essence of Buenos Aires in its soul. In fact, it was recognized by the Buenos Aires City Museum with the title “Living Testimony of Citizens’ Memory”. As it could not be otherwise, our show pays homage to that old tradition by going through the most representative moments of the history of tango in a faithful and authentic way, with the typical quartet led by master Ado Falasca, the wonderful voices of Carlos Gari and Gabriel Mores and the remarkable cast of passionate dancers directed by Cristian Correa. 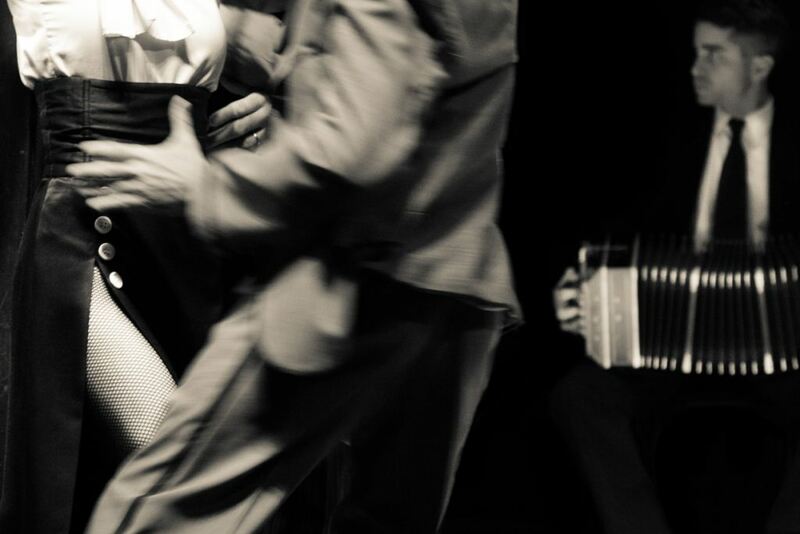 Seduction, passion, nostalgia and melancholy are some of the essential ingredients of our tango show in San Telmo; emotions that have the virtue of caressing our most intimate fiber and touching us deeply. In short, in the intimate hall of El Querandí, able to comfortably accommodate more than a hundred people, you will enjoy an authentic and unforgettable evening; precisely because our proposal will transport you to another era, another time, where tango was, and still is, the most faithful expression of Rio de Janeiro culture.